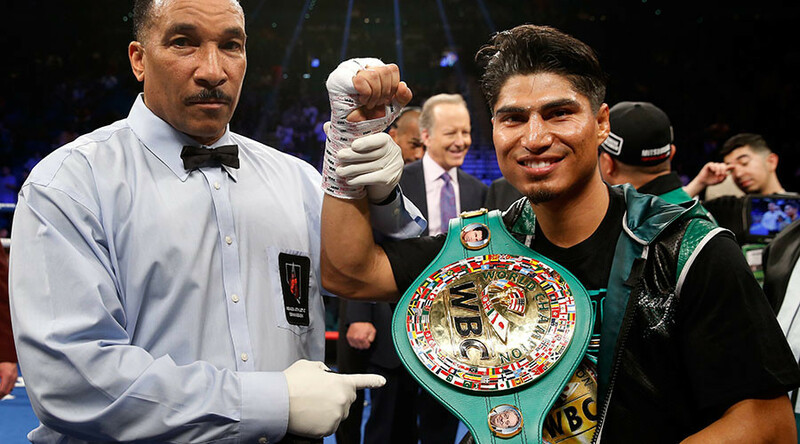 Boxer Mikey Garcia made a stunning return to boxing in Las Vegas on Saturday with a thunderous stoppage of Dejan Zlaticanin that could be an early contender for knockout of the year. Los Angeles-based Mexican Garcia, who showed no hint of ring rust from an enforced layoff resulting from a promotional dispute, used his distance to control the shorter southpaw. In the third round, Garcia unleashed a snapping uppercut that momentarily stunned the Montenegrin, followed by a left hook to the temple that sent his man stumbling into the ropes. Garcia didn’t afford his dazed opponent a second to recover his senses: he then detonated a scything right hook to the chin to send Zlaticanin crashing to the canvas. Zlaticanin was out before his limp body hit the mat. Referee Tony Weeks dispensed with the count and Garcia was the new champion. It is the third belt he has won in as many weight divisions, having previously held the WBO featherweight and super featherweight titles. Many critics are hailing the spectacular finish as a contender for ‘knockout of the year’ just 28 days into 2017. Garcia, who now has 30 knockouts from 36 professional fights, has revealed that he may move up to light welterweight before the year is out. Another win in that division will tie him with Mexican legend Erik Morales, who became the first Mexican-born boxer to win world titles in four weight divisions when he won the WBC light welterweight title in 2011. On a night when Garcia flourished, Irish fighter Carl Frampton faltered in his rematch versus Mexican Leo Santa Cruz. Frampton had won the WBA Super World featherweight title from Santa Cruz by majority decision in a barnstorming fight in Brooklyn last July. This time the roles were reversed and, despite support from the legion of fans that Frampton has garnered stateside, the popular Irishman lost his title in a majority decision: 114-114, 113-115, 113-115. Santa Cruz continued the theme of respect between the two fighters in an Instagram post with the caption: "Nothing but respect to [Frampton] for giving me another hell of a fight—we'll have to do it a third time!" Frampton has already said he would like the third fight to take place in his hometown of Belfast, Northern Ireland, to complete a white-hot trilogy of who many consider to be the two best fighters in the division.